Although they are considered a modern form of communication, emails have been around long enough for most people to have one and understand how they function. If used properly, they can build buzz and help your business earn cash as well as web push notifications do. In every different organization, an email is usually provided to either to a student, a professor or a company’s CEO. Hence, the likelihood of a person not having access to an email account is rather low. For the purpose of marketing and promoting a business, every business owner should take advantage of email branding because it can reach the majority of society and be a very effective advertising tool. 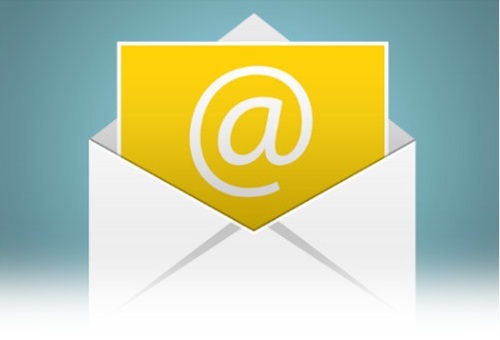 The most important part about email brand marketing is that it is easily sent and immediately received by the consumer. By informing clients about the business, a businessman is directly communicating with the consumer. After all, clients are needed to grow as a company, and establishing a bond with them is vital. Sending individual people offers on products they tend to purchase is incredibly important, too. Showing the clients that you know them will enable them to trust your brand even more. The reason why branding emails are so effective is also because of value exchange. In other words, a business is giving a potential customer valuable information in exchange for their valuable time, unlike a marketing survey. Customers need to feel comfortable and know that when they open the email, they can trust the business and know it will not be a waste of time. They are expecting to find interesting new products or deals, or something worth reading. If you want your customers to become familiar with your business through email branding, be sure to include your logo in every email correspondence you send out. Your logo is the first thing customers should think of when they hear mention of your company. That is why it is a part of all the best trade show booths you have ever seen. Take a look companies like Nike, McDonald’s or similar. Every one recognizes their logos, even without the business name attached. Including your business logo in your e-newsletters and other business emails will help to establish familiarity for customers. Keep this in mind, and always include your logo in every email you send out. Have a style guide for your business emails. Using a branded color scheme for all emails is a crucial part of branding business emails. This helps you improve brand recognition with your customers. The consistency will also help you design marketing emails that are aesthetically pleasing to their recipients. Make sure to use this tip if you are rolling out a branded email strategy. Most people do not think about going to a business or a store for a purchase until they have seen that they received one of those exciting 20% off total purchase coupons. After all, they are probably concerned about their personal finance status. Including occasional coupons is a required tool. It encourages people to open the emails and not set them in the spam box where they will not get viewed. Apart from coupons, some email branding campaigns most definitely should include a newsletter. The point of the newsletter is to alert the clients of what is new in the business, unlike telemarketing services. Moreover, newsletters tend to be colorful, vibrant and more appealing than a paragraph pasted onto an email. If the email is not aesthetically pleasing to the eye, chances are that the following emails will not be opened at all. People are attracted to beauty, and branding the business professionally will increase its chances of profit. In order to prevent boring your clients with long and detailed paragraphs, being brief and direct is imperative. This also increases the odds of clients reading the full email and having the knowledge of all the deals going on with the business. If the paragraphs are too long and too numerous, the reader might simply skim through a few and miss the part that would target them specifically. Email branding has proven to increase businesses’ profits tremendously, so be sure to leave room in your business budget for it. The key to this kind of marketing is to make the emails appealing, interesting and concise. Ultimately, people want to be able to quickly register what they are viewing and understand it. Following these mentioned tips will help any businessman promote his products or services.